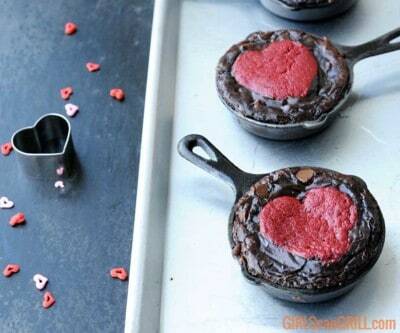 Show your love by surrounding ooey gooey red velvet hearts with fudgy brownies. They're so good; no one will know they're made with boxed cake and brownie mix. 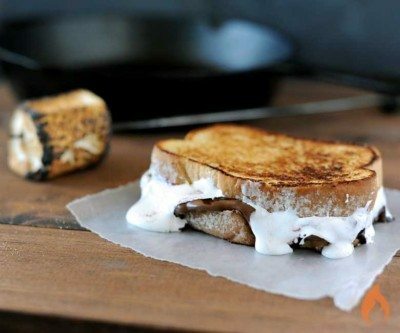 When you have the urge to camp, but just can't get away, create the flavors of camping at home with a grilled s'mores sandwich. Roasted marshmallows aren't just for campouts. 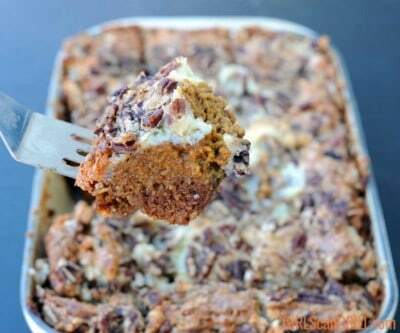 Smush a few on your grilled sweet potatoes with some cinnamon sugar to create a crunchy, sweet side dish. 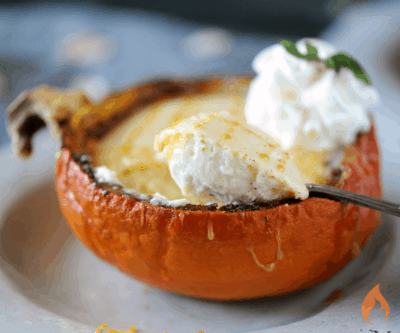 Save oven space during the holidays with this grilled pumpkin spice cheesecake. Dig in deep to get a bite of spiced pumpkin and creamy cheesecake. This simple grill hack makes baking on a grill possible. 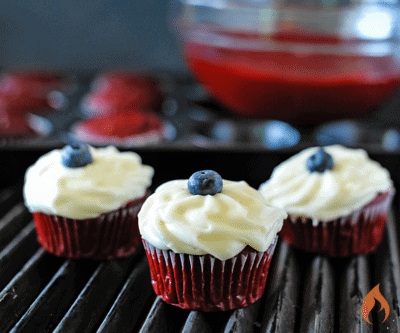 Your friends won't believe it when you bake them a batch of grilled cupcakes. 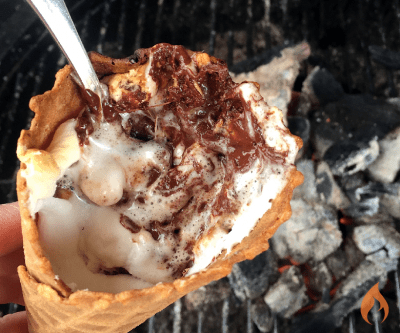 S'mores cones allow you to enjoy ooey gooey, chocolaty campfire s’mores without getting your hands dirty. Mix and match flavors to create your custom recipe. 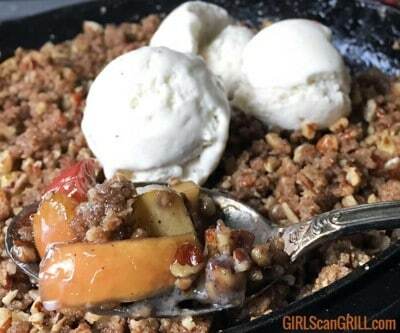 This honey whiskey apple crisp combines apples, cinnamon and pecans with smooth touch of Jack Daniel's Tennessee Honey. Grab a skillet and fire up the grill.